1. Prevent Cognitive Decline – As we get older, the brains become hazy, and sometimes a lot of cells are damaged due to aging and degenerative diseases. Doing regular exercises at the age of 25 to 45 helps in the boosting up of the chemicals that protects and supports the brain against cognitive declination. 2. Sharpen Memory – Regular exercises causes the body to sweat out and thus increases the production of cells in the hippocampus of the brain. This is the part of the brain that is responsible in the learning and remembering process. It is not good only for the kids in school, regular exercises are also best for adults who are in tough challenges as the brain can retain memory and word vocabulary at a higher level when the body experiences regular workouts. 3. Boost Brainpower – Tough exercises and work out done on a regular basis cause the brain to boost up as the neurogenesis takes up. This also increases the functions of the brain to perform even better making the brain to think faster, reason out smarter, and learn more. 4. Boost the Mood – Working out for 30 minutes at least a few days a week can boost mood and put the behavior in better shape. This is because the brain becomes develop causing it to take control of behavior and mood. Physicians recommend it to children having ADHD condition. 5. 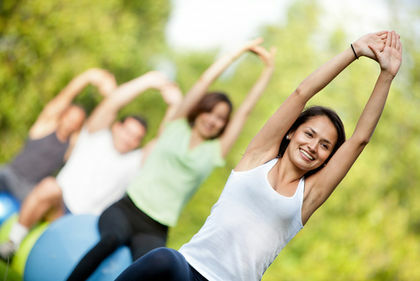 Increase Relaxation – Regular exercises improves sleeping habit thus cause the body to relax better. Getting enough sleep is also beneficial to the development and improvement of the health of the brain. Getting fit and losing off the fats are the initial reasons why people give time to do exercises, but after learning that it can also make a person smarter and mentally focused, everyone of any age should start doing a little of stretching and sweating out starting now. Exercises and workouts may seem helpful only to the physical aspects of the body, but it is the brain that gets much of the benefits from exercises.